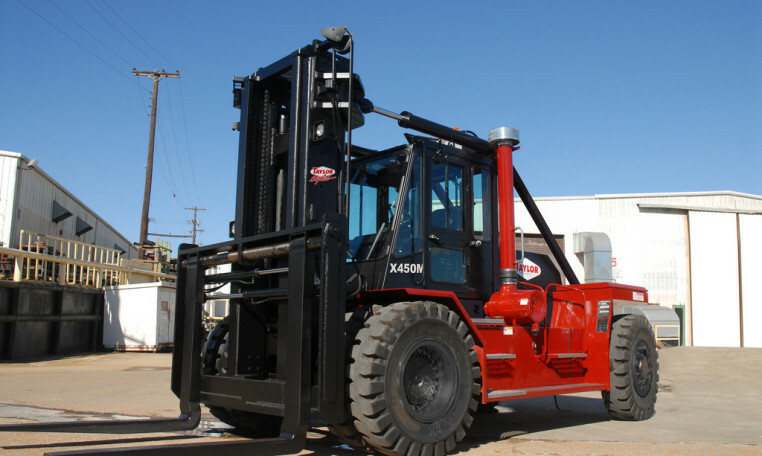 Features Include: End User Diagnostics, Joystick Controls, Overhead Tilt Cylinders, Heavy Duty Lift Chains, Enclosed All-Steel Operator Cab, Super Heavy Duty Hydraulic and Engine Cooling System, Heaviest built steer axle in the industry and standard LED lights. ENGINE: Cummins QSL9-C250 HP engine Tier 4F, Tier 4 Final electronic turbocharged, charge air after cooled (air to air) diesel, 6-cylinder diesel engine has 543 cu-in. (8.9 L) displacement. Transmission: The three-speed, fully reversing, fully electric, modulated powershift transmission has inching, electric joystick push button control, and a separate air-to-oil cooler. The filler pipe dipstick and large, heavy-duty oil filter are easily accessible. Filter is mounted to transmission. Automatic powershift (standard).